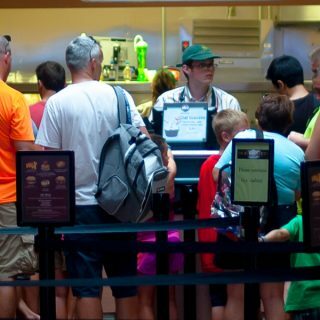 With so much to see at Walt Disney World Resort, families can be hesitant to spend too much time sitting down in a restaurant due to FOMO (Fear Of Missing Out). Don’t worry, one way to not miss a thing is to make a reservation at a restaurant with a view. 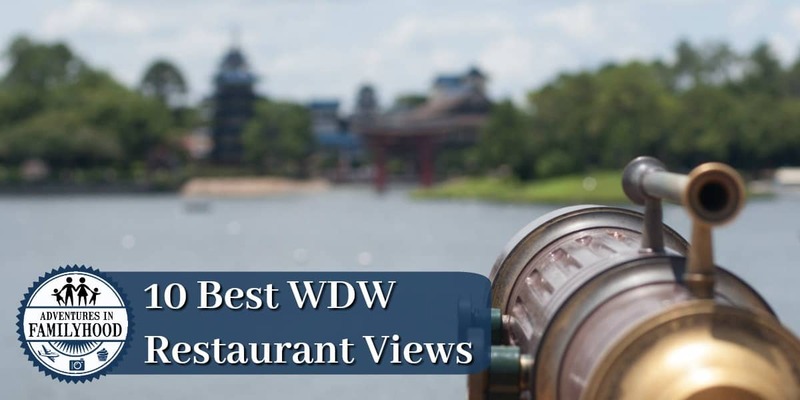 Our 10 best Walt Disney World restaurants with a view offer amazing vistas, and the food is pretty good too. If you want to enjoy some fireworks, a sunset, or exotic wildlife, we’ve got the views you’re looking for. Several of the most popular table service restaurants for dinner reservations at Walt Disney World Resort are made by guests wishing to see fireworks during their meal. In fact, the first 6 of our 10 best views all come with the opportunity to enjoy some explosions in the night sky. You’ll want to make your reservations at these spots for an hour to 90 minutes before the show begins. You may also need to request a table with the view you desire, which may increase your wait. One of the most sought-after dinner reservations in all of Walt Disney World is at California Grill atop Disney’s Contemporary Resort. 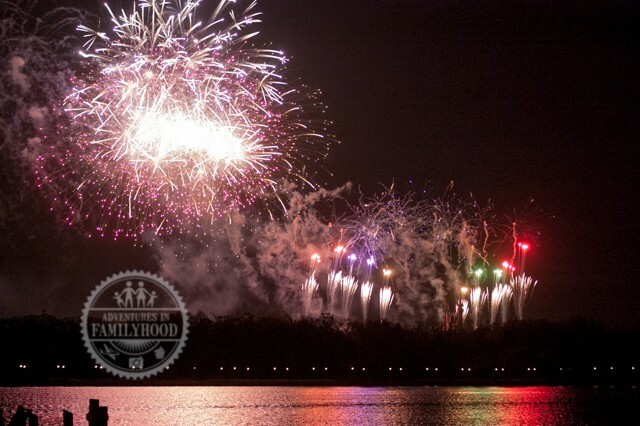 Plan it right, and you can look out and down upon the Magic Kingdom and enjoy the fireworks lighting up the night sky. 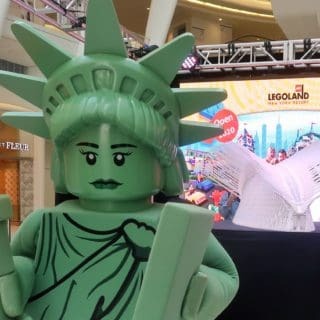 Even if you can’t snag a table for the fireworks, the view is breath-taking during the day and your reservation allows you to return for the fireworks, if you wish. It’s been many years since Lisa and I have eaten here, but we still remember that view. 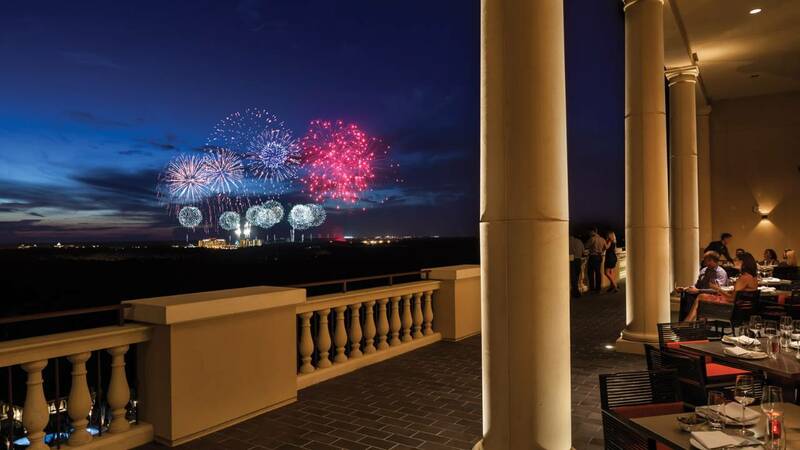 The other spot to enjoy dinner with a view of the Magic Kingdom fireworks display is at Narcoossee’s at Disney’s Grand Floridian Resort & Spa. This restaurant may be at ground-level, but offers great views of the Seven Seas Lagoon and Cinderella Castle. We didn’t have a window seat during our dinner here, but we were told we could get up and go outside for a better view when the fireworks started. In addition to Happily Ever After fireworks, you can also enjoy the Electrical Water Pageant as it goes by. 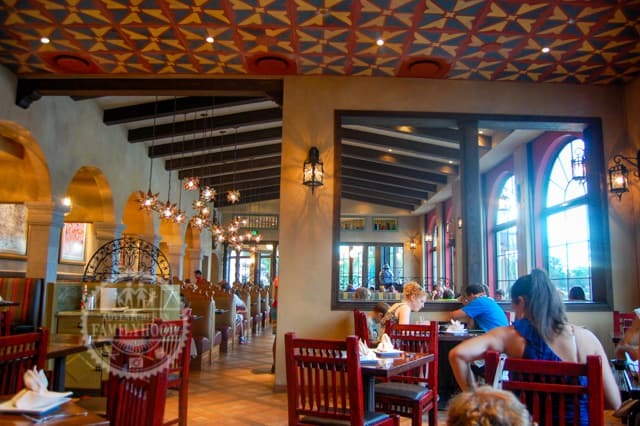 This Mexican restaurant is located right on the waters of World Showcase Lagoon, making it an excellent place for dinner during IllumiNations. The large windows offer views for many tables, even those not right next to them. Still, it would be worth it to ask about getting a table next to a window. This Morocco spot has both indoor and outdoor seating right along the water’s edge, making it perfect for enjoying a cool breeze and a great view. The windows are large enough to offer views no matter where you are sitting. The opening of our previous two restaurants has provided alternatives to this spot, but it remains in high demand due to the comfort food it provides in addition to a great vantage point for IllumiNations. For the best view, you’ll want to be outside the covered dining area. 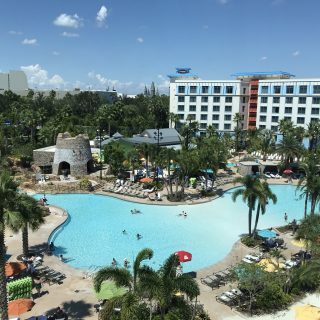 We’ve yet to get over to the Four Seasons Resort on Walt Disney World property. It’s out-of-the-way by most guests’ standards because you have to provide your own transportation. But, the views look amazing. We’ve heard you can see more than one fireworks display from Capa. Another spot on my Disney dining bucket list is The Boathouse. I want to do lunch here and then take a ride in a Amphicar! But you don’t have to get that close to the water to enjoy the great view from the restaurant itself. The restaurant formerly known as Fulton’s is uniquely themed as an old-style paddle boat that sits upon the water. The experience and view is a big part of its charm. We originally had The Wolfgang Puck Cafe on this list, but since that is closing on August 1st and we’re not sure what will replace it and how it might be changed, we opted for Paradiso 37 instead. We’ve always been intrigued at the idea of enjoying tapas outside overlooking the water. 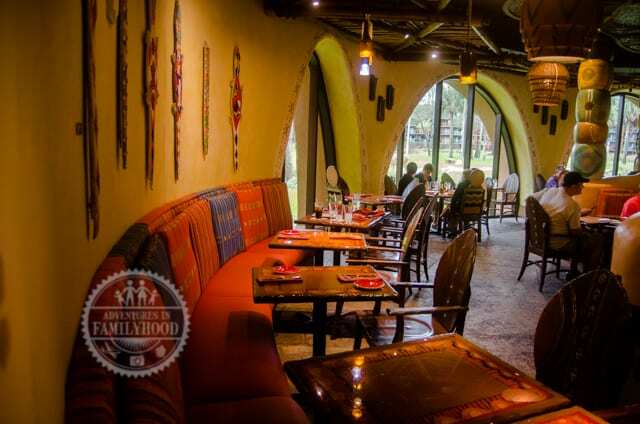 Last, but certainly not least on our list is Sanaa at Kidani Village at Disney’s Animal Kingdom Lodge. Snag a window seat here before the sun sets and you’ll be treated to views of the Savannah and a number of animals you won’t see anywhere else in Florida. That’s our list. Did we leave out a favorite view of yours? Let us know! More than just a great meal but a lovely view or show as well, thanks for sharing! Oh my goodness, I was lucky enough to hit almost ALL of these during the past two weeks! And… I finally got to do California Grill’s Brunch at the Top- my new favorite brunch at Walt Disney World!! Love these! Have you tried Paradiso? You need to. I think it’s a hidden gem. We really love it! And even better that you have a nice view! I’ve only been to Sanaa and the Boathouse, but I agree that those are both great restaurants! San Angel Inn has been on my list for a while, too! Now that you say it is in the top 10, I’m totally going!